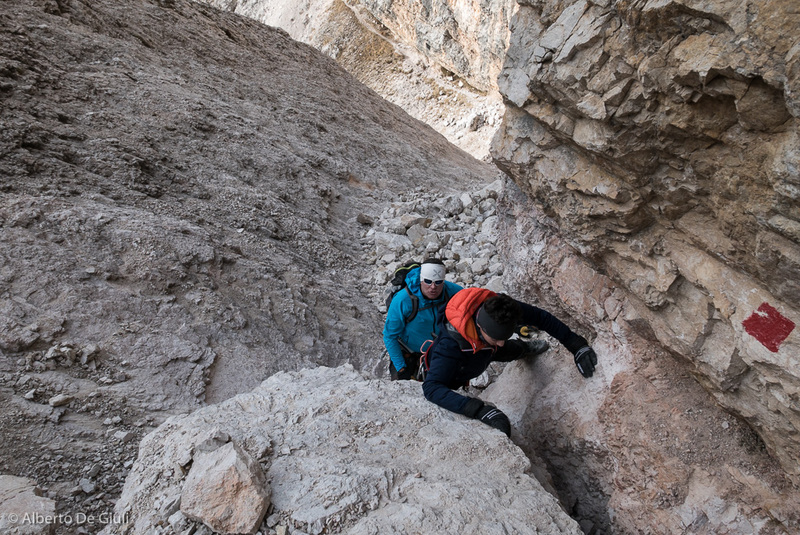 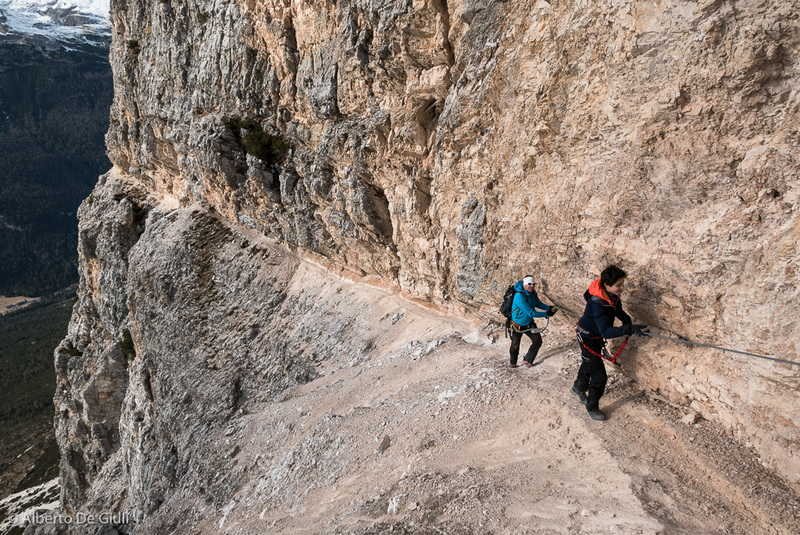 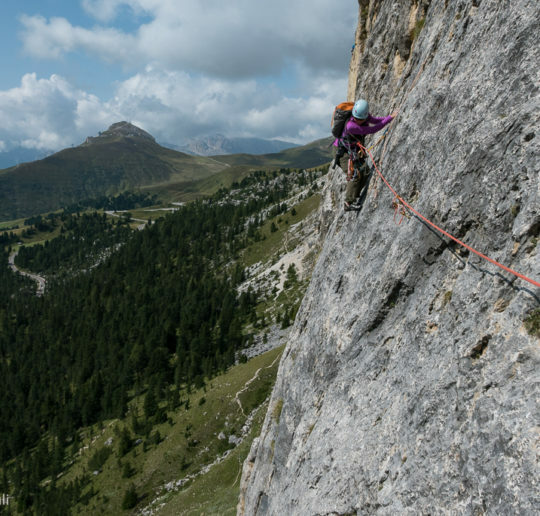 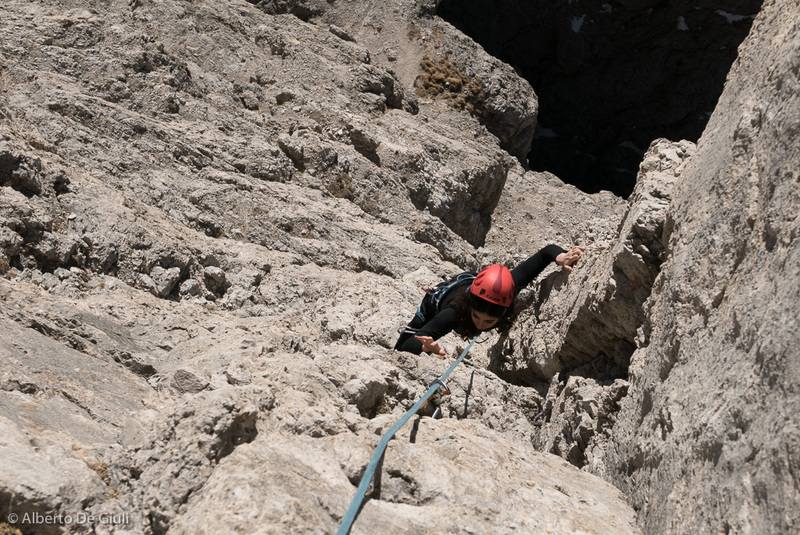 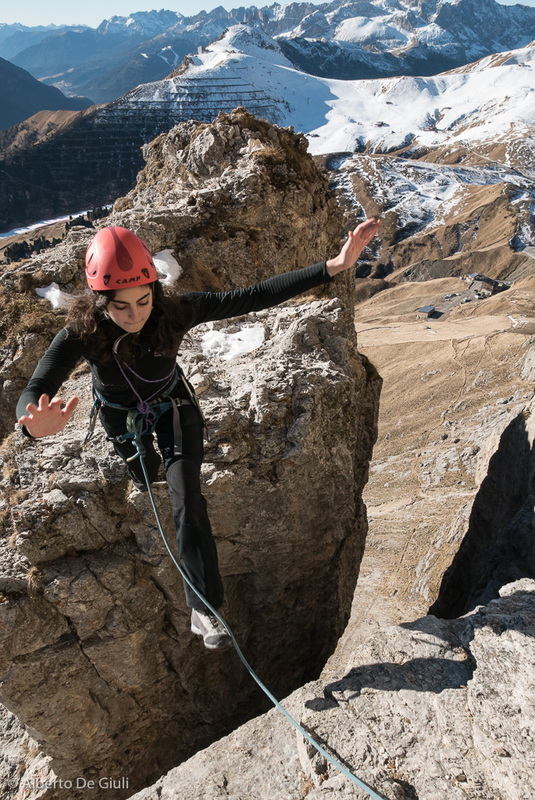 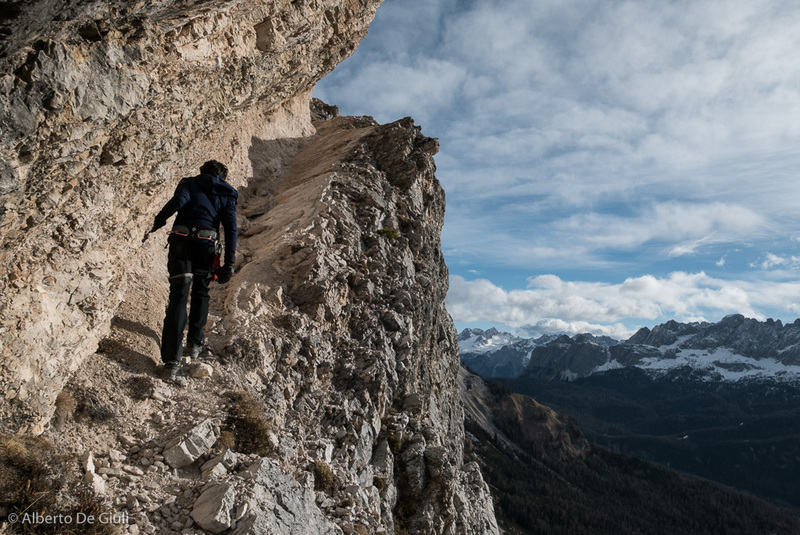 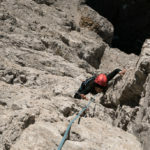 Rock Climbing in the Dolomites. 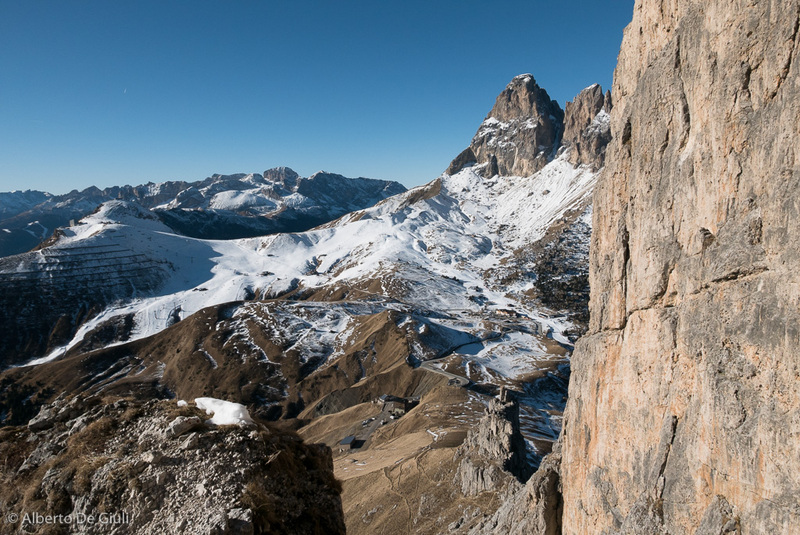 Sella Towers, Punta Clark, Terza Cengia. 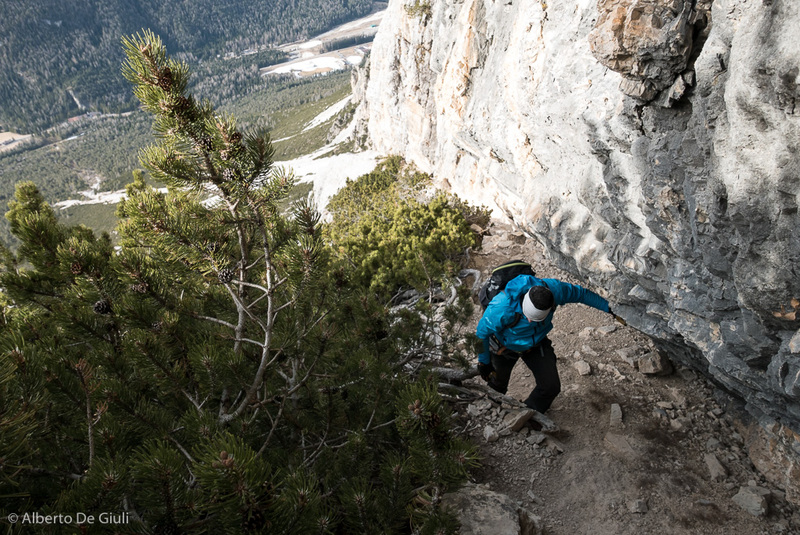 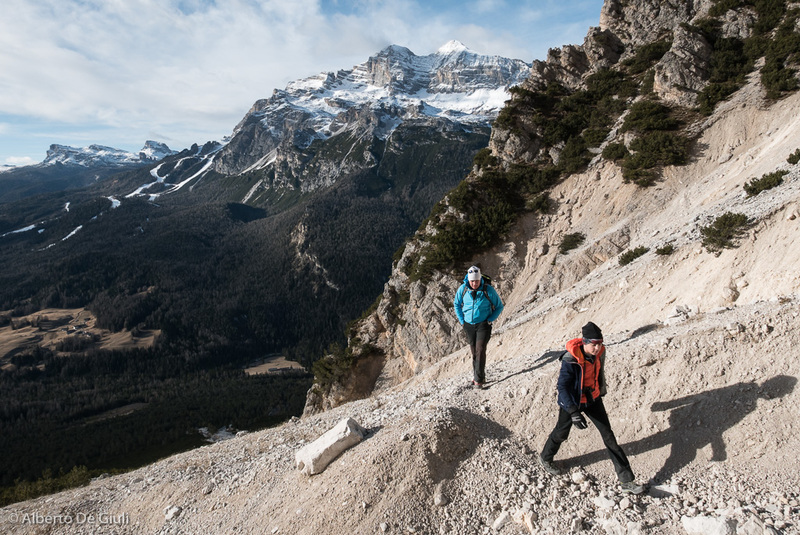 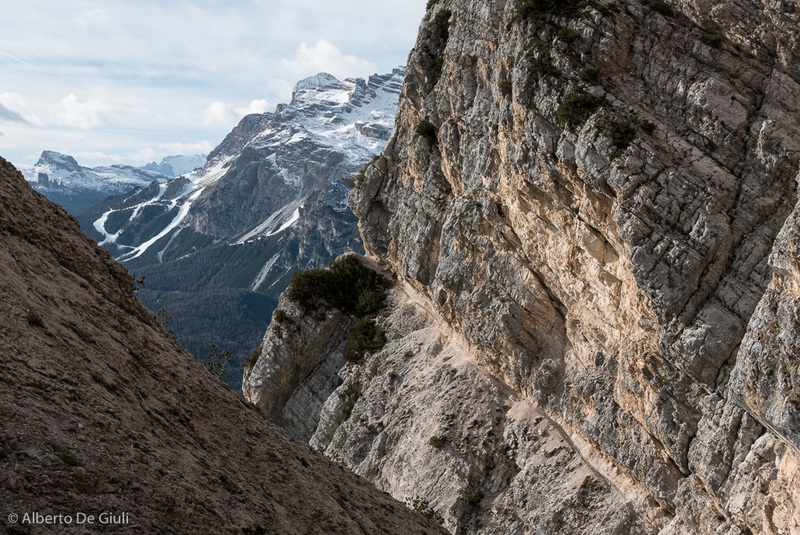 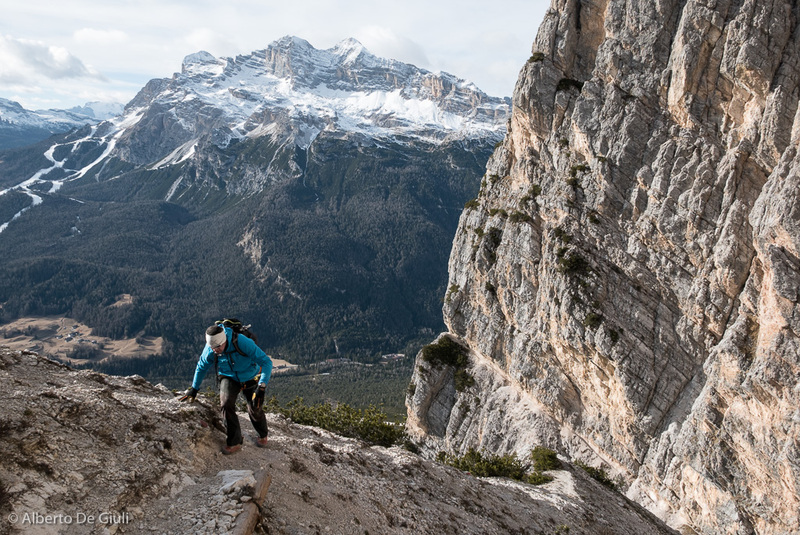 There’s no snow in the Dolomites, and we’re still hopeless as there’s no snow in the forecasts for next week. 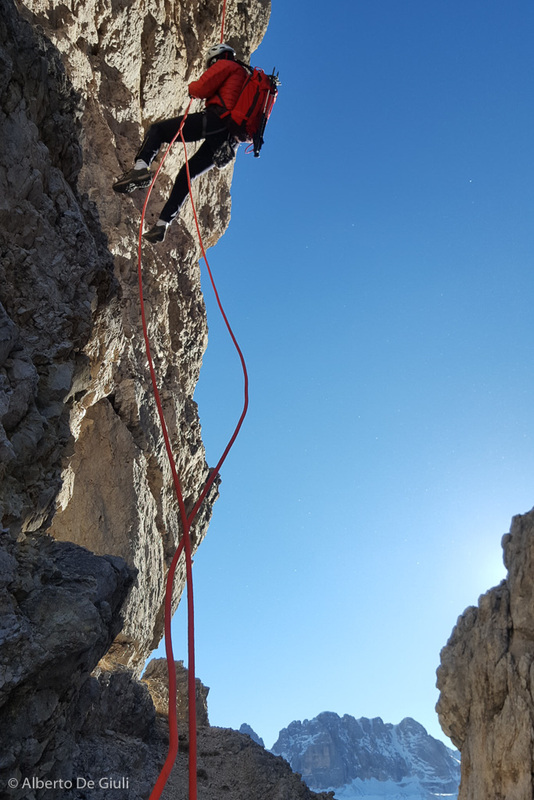 For Christmas and New Year’s days we had good weather and very good conditions for climbing and hiking. 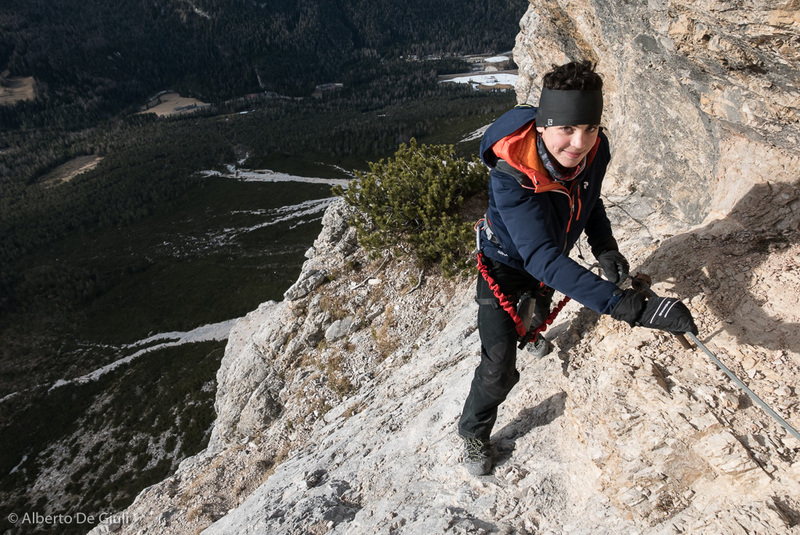 Be careful on the choice of your hiking routes, as there might be some icy spots that require the right equipment. 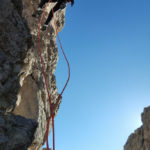 If you’d like to do some rock climbing, you just have to pick up the right day with sunshine and no wind, the rock is still warm on the south faces. 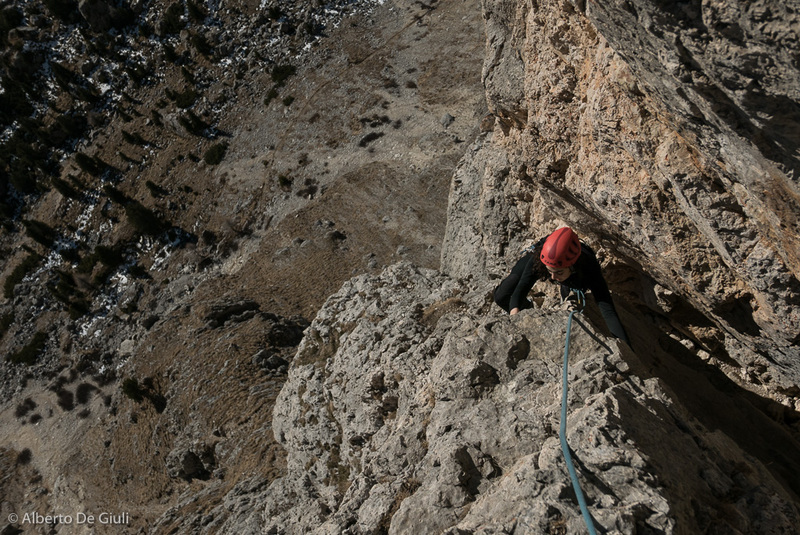 Climbing Punta Clark S-W arete in between Christmas and New Year. 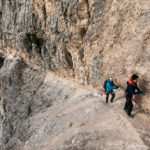 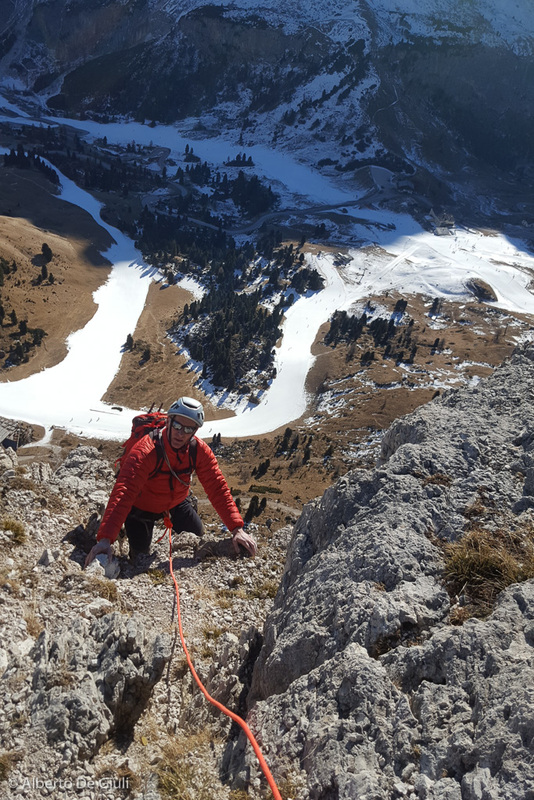 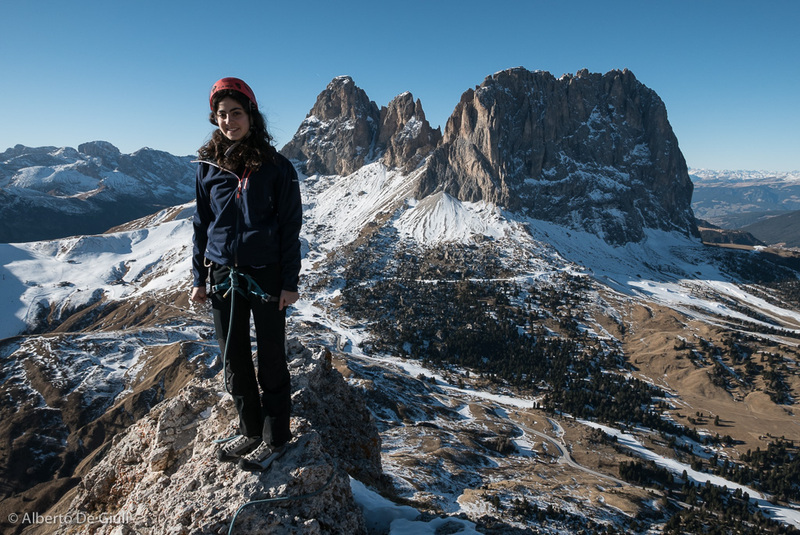 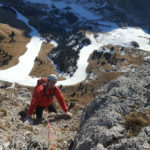 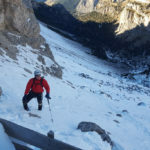 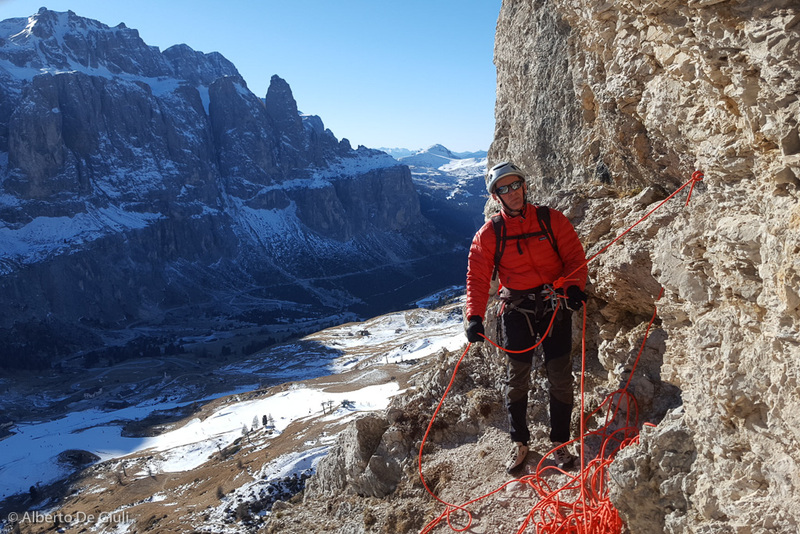 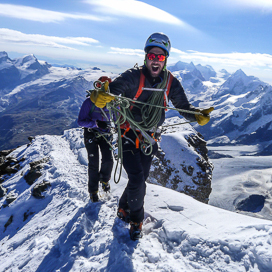 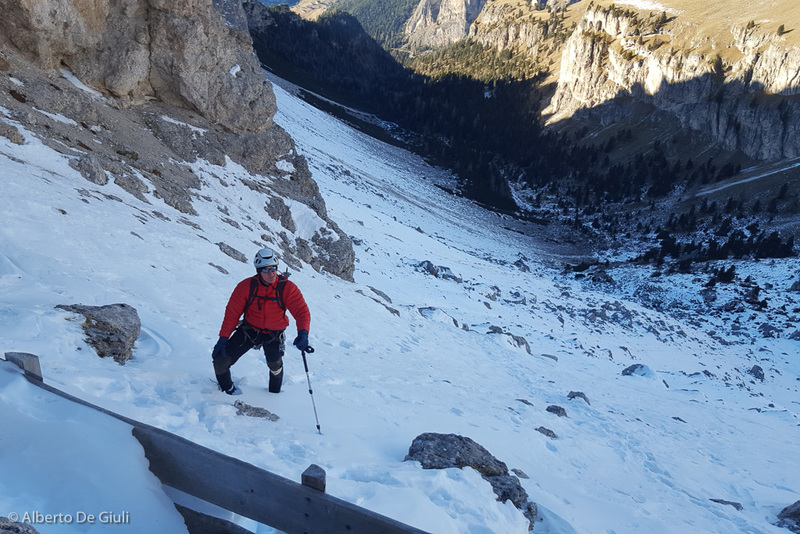 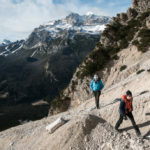 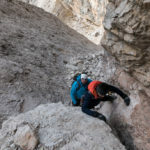 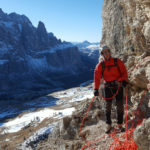 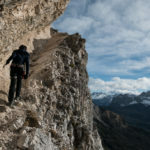 On the last days of 2016 we headed to the Sella Towers, and climbed two classic routes, Chimneys route on the First Sella Towers and Kostner route on the Second Sella Tower, around Gardena Pass we climbed the Punta Clark S-W arete. 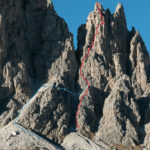 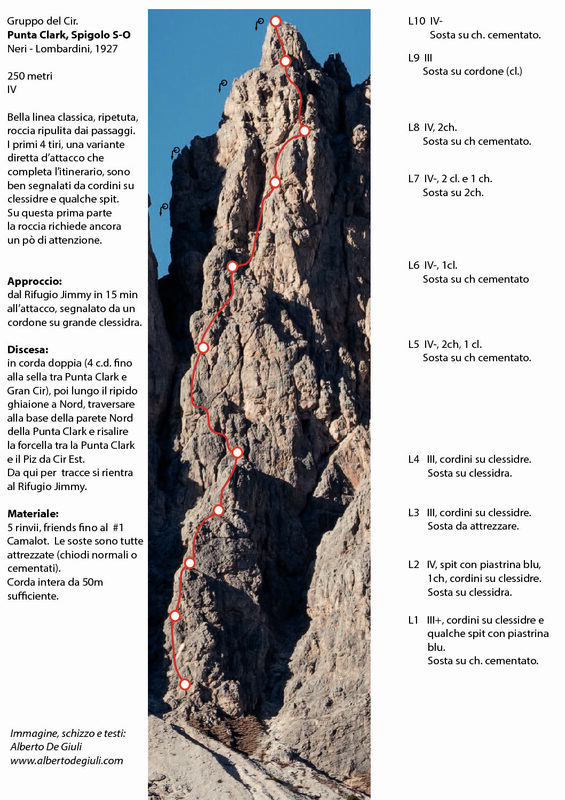 This nice route just above Jimmy Hut was first climbed back in 1927, you can find the topo and description on Mauro Bernardi guidebook, I’ve climbed this line several times. 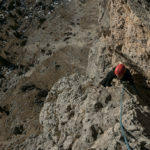 The climb is really nice, the rock is not as great and sound as the one on Falzarego Towers, but it’s been considered a classic and climbed often. 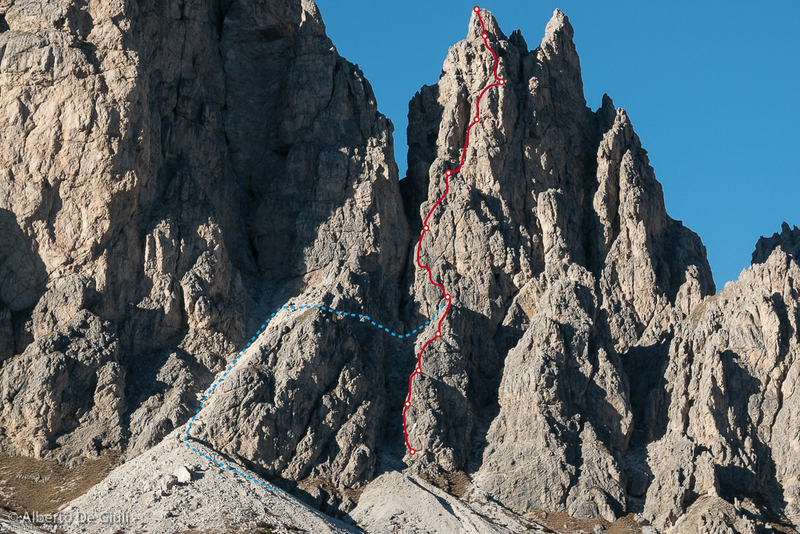 Last year I found out they equipped 4 pitches just before the start of the route, so you can now avoid the steep scree and the exposed traverse described on Bernardi guidebook. 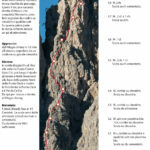 Here you can download a PDF with the topo I drew, I hope it’s gonna be helpful. 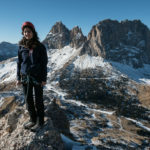 Down below you find also some pictures from the hike we did in the first days of 2017, across Terza Cengia del Pomagagnon (“the Third Ledge”), the most beautiful hike on very exposed terrain you may find around Cortina d’Ampezzo. 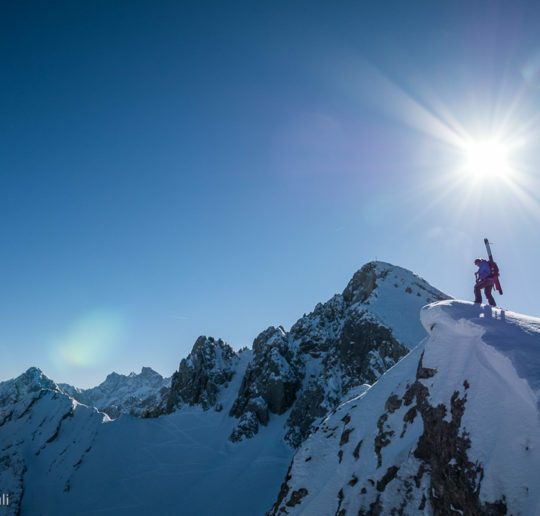 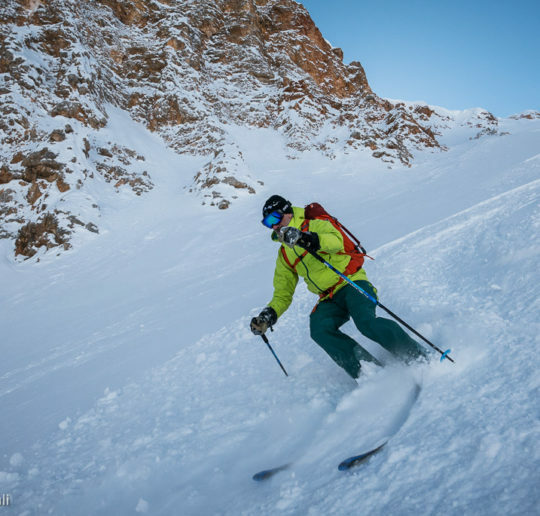 Ski touring and off-piste skiing in Austria. 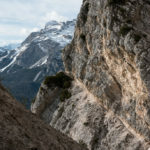 Arlberg, Pitztal and Karwendel.